Sorry about no post yesterday...I was out sick recovering from a stomach bug, but i'm back and Happy Friday! 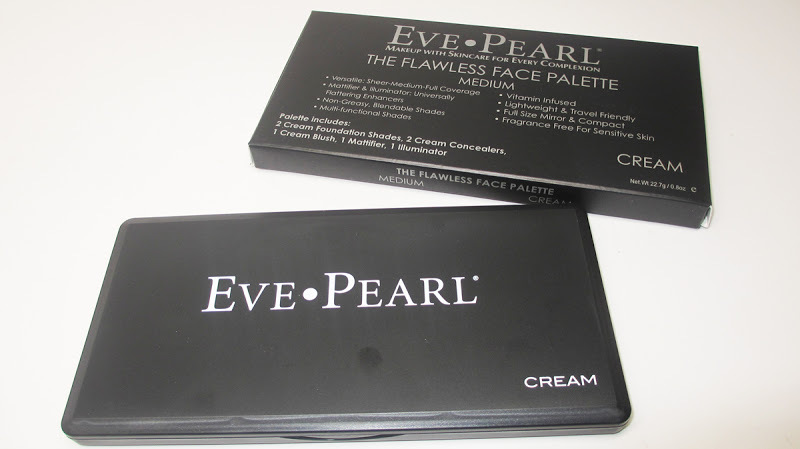 Any Eve Pearl Makeup fans in the house? 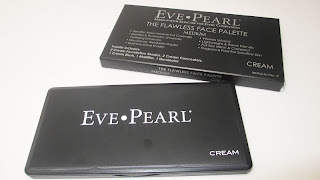 Today I'm giving a review of the Eve Pearl Flawless Face Cream Palette in medium which has all the bases for a full face look. 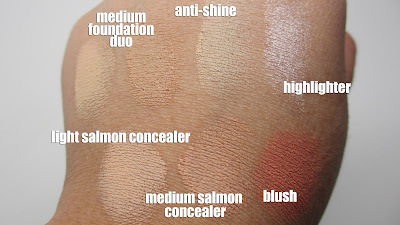 From the famous salmon concealer, to foundation, anti-shine, blush and highlight I'll give you my honest thoughts, pics, swatches and even a before and after. Check it out! 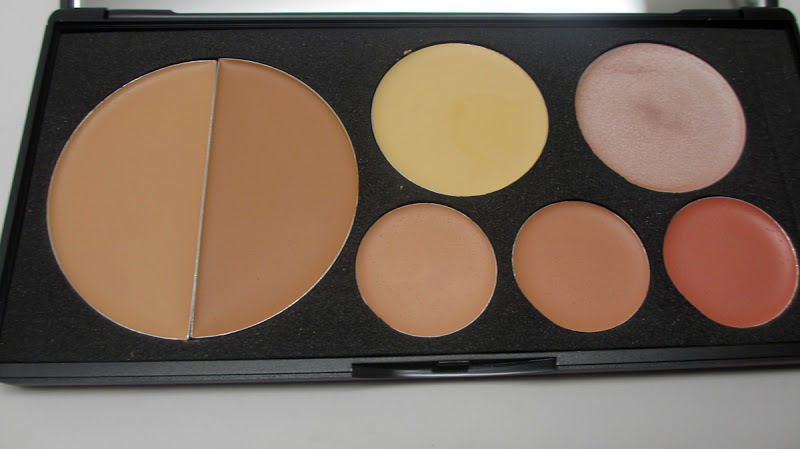 This is the medium palette - with shades that fit this foundation range. I find that the darker shade of the medium foundation duo is a decent match for my winter shade, but for reference I'm usually in the tan shade. Regardless, the duo lets you mix and match - I like to use the darker foundation all over and then the lighter side as a highlight. 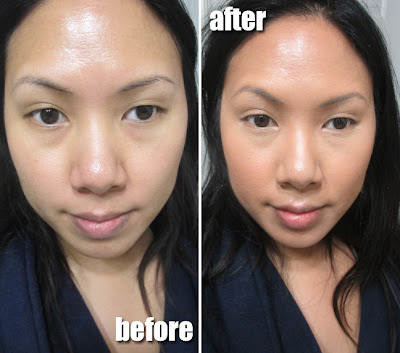 The foundation is creamy, great for my dry and sensitive skin, and offers nice coverage. The yellow pan in the palette is actually supposed to be an anti-shine. It does mattify a bit, but not as much as the original anti-shine in the tube which I adore. The yellow tint does actually show on the skin and I found myself using it as a undereye brightener and highlighter. The pearlescent pan is a highlight...I pop this on top of the cheekbones for some subtle shimmer. I recommend setting it with a coordinating powder product so that it lasts all day. 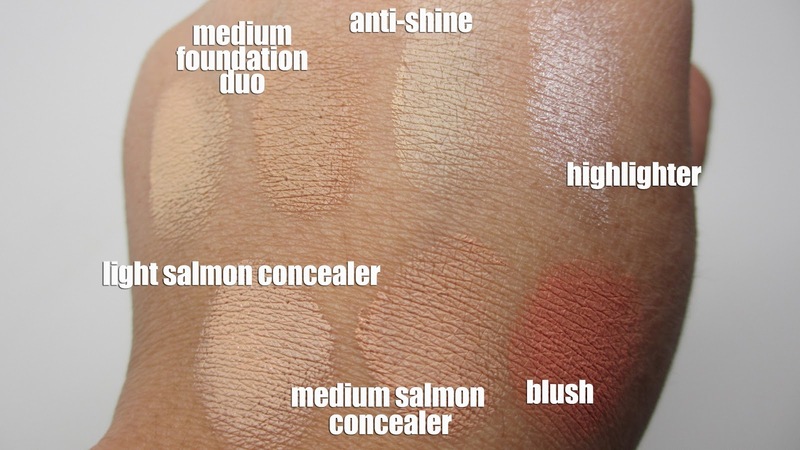 The two smaller orange pans are the light and medium salmon concealers - love this! It's the original formula and it covers imperfections and dark undereye circles like a dream. The formula is very creamy so don't forget to set them with powder. The pink pan on the bottom right corner is a cream blush. It's a nice, flattering shade for those who like cream blushes. I'm more of a powder blush person myself. Here's a before and after...I don't think the picture did it justice. My after actually looked really nice in person. I'll have an FOTD coming up soon with a finished look. Essentially this is a great little kit that comes with everything you need for a flawless complexion. It's actually very convenient for travel especially since they come in specific shade palettes. I'd say it's just missing its powder counterparts. Especially for those with oily skin, it's a must. If you're a regular makeup wearer, you also understand the importance of layering products for them to last and stay put. 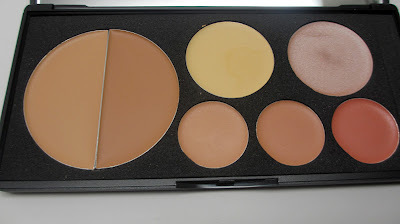 I would prime first, apply the products in this palette...then set with your powders of choice out of your makeup bag. I'll have a FOTD coming up soon to show the finished look. Stay tuned! You can find these product at www.evepearl.com or www.shopnbc.com. FTC Disclosure: Product sponsored for review. I am not affiliated with this company and not paid to write this review. These are my honest thoughts and opinions. How much does it retail for? Thanks for this post! I've been cutting my cuticles but it's too fiddly & painful! I won't be doing that anymore & and going straight out to buy cuticle remover. I bought this make up on QVC when it was a today's special value. I absolutely love love love it. It covers so nicely and it does not feel like you have make up on. I am hooked! I am now looking for a place locally, in the Atlanta, GA area where I can purchase it. Any suggestions? Huge Drugstore Makeup Haul - New Products! EuroTrip Vlog Part 1 - Berlin! Happy New Year's! Things to Do Now!